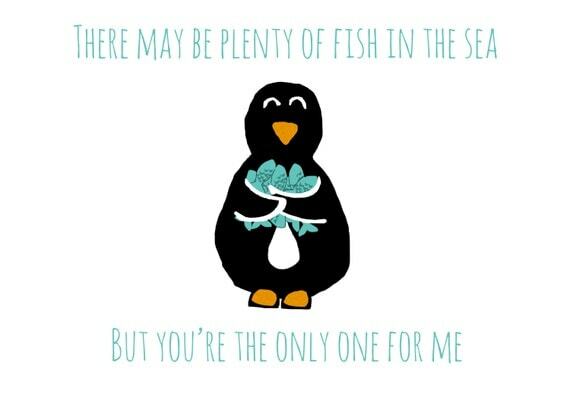 It seems like recently I have caught the drawing bug, probably largely helped by a sudden avalanche of sales for my Penguin Valentines Cards! It really has been rather exciting over here at Penguin HQ! I’ve found that I really do love drawing cute little animals and it seems like i’m getting better and better every time i open up photoshop! I’ve even started recording my drawing process as i think it does help to watch back when i’m not concentrating on drawing, plus i think it could be quite a nice little addition to my youtube cannel that’s been lying dormant for so long! You can watch all my time-lapses here! 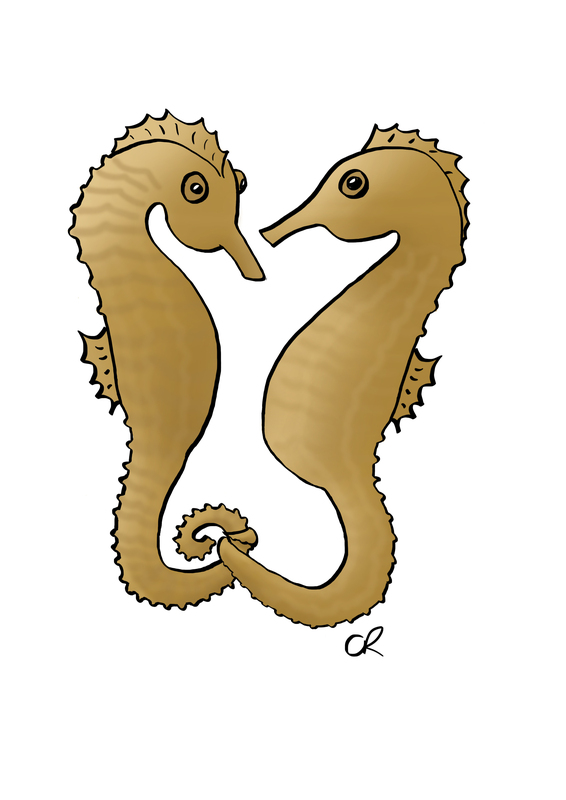 I drew these seahorses as another option for valentines day, but ended up not really liking them enough to put up in my shop. I do think they’re cute but, gosh, are seahorses hard to draw! Maybe i’ll revisit them once i’ve improved a bit more. I started to relax into my drawing a bit more and drew this adorable Hippo! This has to be one of my favourite drawings to date! He’s wearing a cute little party hat and singing ‘Hippo Birthday’, because Hippo’s are obviously amazing singers! 😉 I think my shading improved so much on this picture and I just love the hippos character! 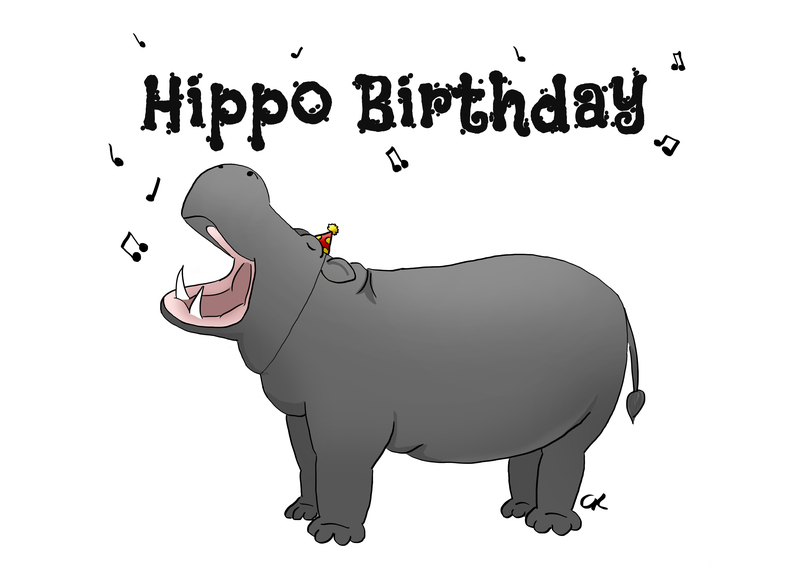 You can buy my Hippo Birthday card here! 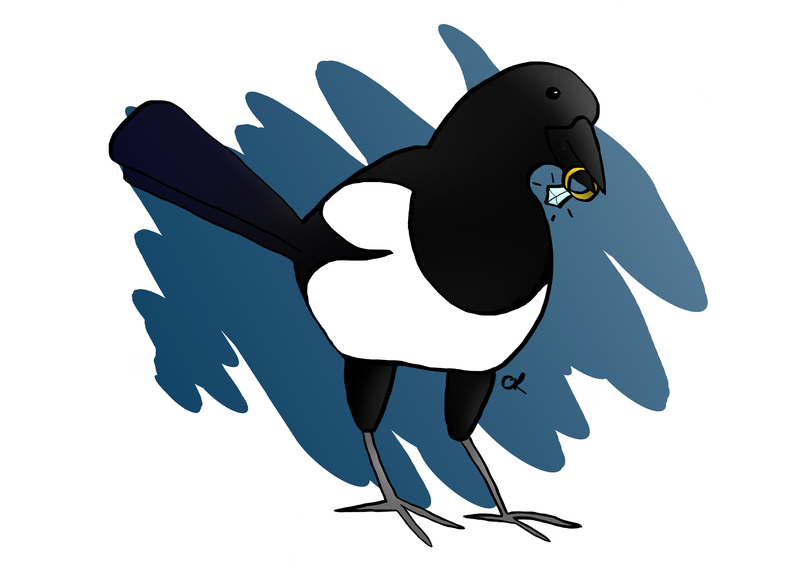 Ashley then gave me the idea of drawing a shiny-object-loving magpie stealing a ring for a wedding or engagement card and I thought it was a great idea! I wanted to add a little simple background to this one and love how it turned out although i think i will tweak my shading tomorrow as it isn’t as good as on my Hippo. You can find my Magpie Thief card here! What do you think I should draw next? I also have some other exciting plans for my youtube so do keep an eye out for more learning, projects and other fun things! But for now, it’s time to sew! 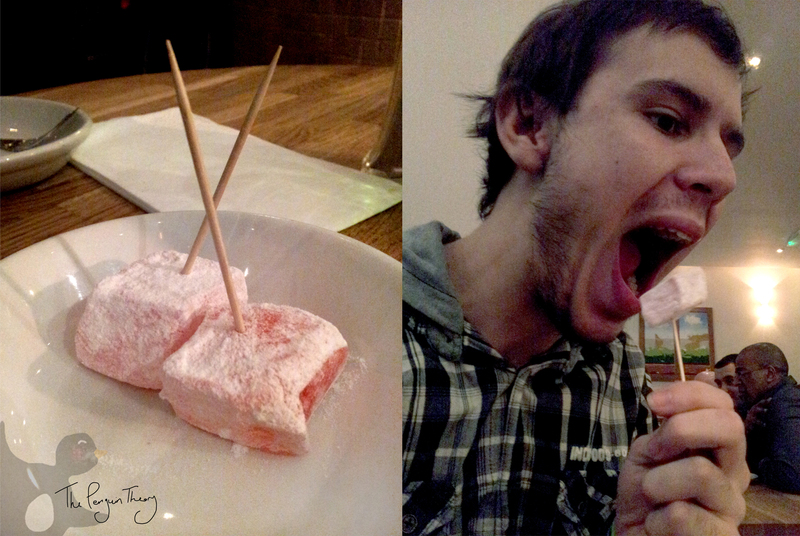 Myself and Ashley have been together 3 years today!….or tomorrow. You see we don’t really know when we got together as I agreed somewhere around midnight so we tend to celebrate over two days! However we’re not doing much today as we have very little money and so just spent a long relaxing morning and afternoon together and both have work tomorrow. 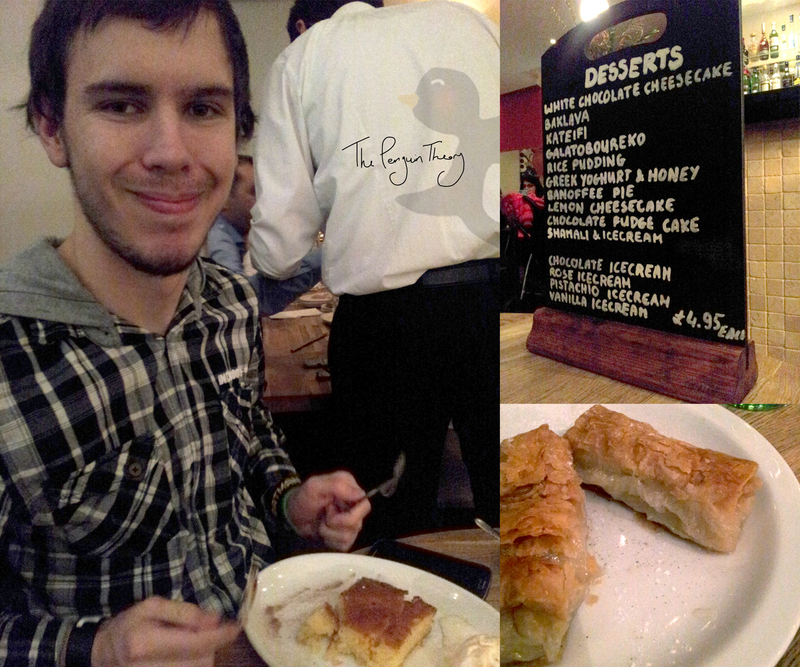 I have bought him vouchers for a graffiti art lesson though, although we can’t book it for a few weeks as we’re too busy! Still, it’s been really nice to spend some time snuggled up together thinking ‘how on earth have we put up with each other for 3 years!’. Of course we’ve had our ups and downs like every couple, but since we’ve both finally got new, well paid and enjoyable jobs things have been really good and we’re as loved up as ever! To celebrate our anniversary i’ve decided to give away one of my Penguin cards to one lucky winner, so they can share their love with someone special. I am actually giving away an extra large card, a size not available in my shop, featuring the adorable picasso and lots of fish (above)! This was my most popular card design over valentines and so is sure to be the perfect way to make someone feel a little special. To enter to go over to my facebook and then like and share my competition image here. 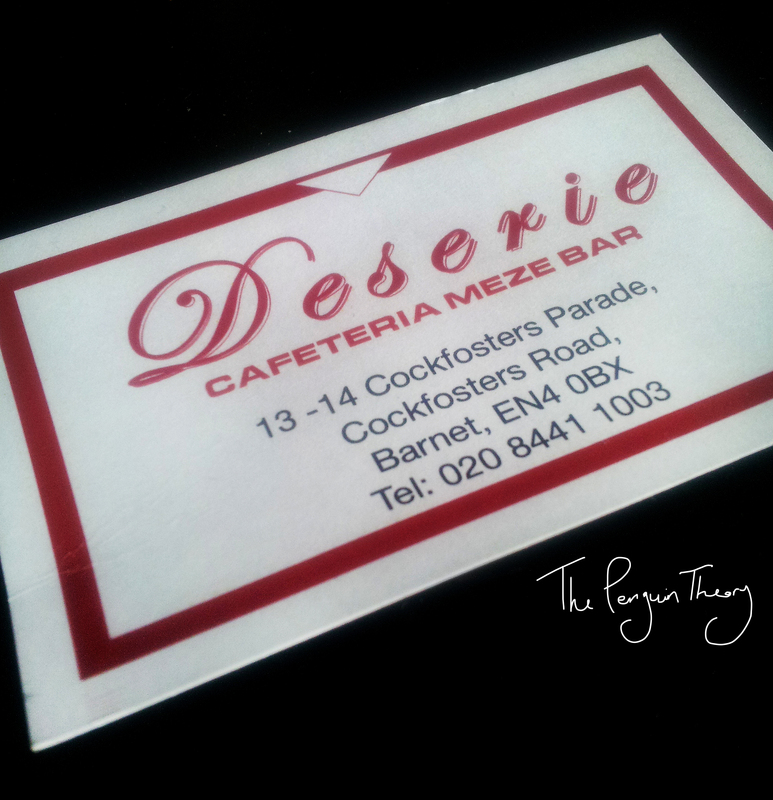 You have the rest of today and tomorrow (the length of our anniversary) to enter!